My high school experience was nothing like anything John Hughes ever captured in a film. For one thing, there were people of color in my high school. Actually, Brooklyn Tech was (and still is) predominantly Asian. And not one of them sounded or acted like Long Duk Dong. Also, I don’t think my high school had detention. That isn’t to say that Sixteen Candles and The Breakfast Club didn’t speak to me. I enjoyed both those movies immensely. So much so that for a while, I might have said The Breakfast Club was my favorite movie of all time. What can I say? I was a pliable pre-teen the first time I saw the movie. That’s probably not the case now, but there’s no denying that Hughes, despite the retroactively problematic nature of some of his writing, captured the Zeitgeist of the middle-American ‘80s when folks were still pretending that there was something resembling a monoculture. 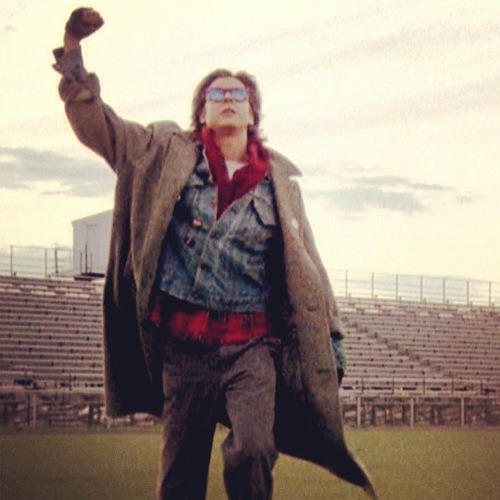 “Don’t You (Forget About Me)” is the theme song to that 1985 classic (for the zero of you who did not know that before). It topped the pop charts and established Simple Minds in the…er, minds of the American music listening public. It hits the sweet spot between synth-dance-pop and arena rock, probably because it was produced by Keith Forsey, whose previous credits included Irene Cara’s “Flashdance…What A Feeling” and Billy Idol’s Rebel Yell. Idol was actually the first choice to record the song, but he passed and left the song to Jim Kerr and Simple Minds. It turned out to be the band’s biggest hit by far, topping the charts in the U.S. Kerr notoriously hated “Don’t You (Forget About Me)”, but he and his bandmates eventually changed their minds. I’m sure the notoriety and money helped.